While many industries long ago discovered the importance of focusing on the consumer, healthcare marketers have typically educated consumers only about the benefits and features of the products and services they were selling. While this may have served their purposes in the past, they probably would have been more successful if they had been striving to personally connect with their primary consumers—the patients. 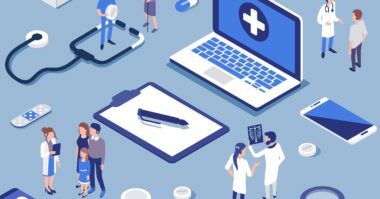 But now that a number of healthcare brands have started to realize the need for such a patient-centric approach, healthcare marketers are finally starting to make the patient experience their top priority. Now, the arrival of advanced healthcare technology and the emergence of the tech-savvy, empowered patient has made it more important than ever to focus on the patient’s experience. So rather than developing a healthcare marketing strategy that simply sells a product, it’s become smarter to show the many ways that a product will support and benefit the patient. 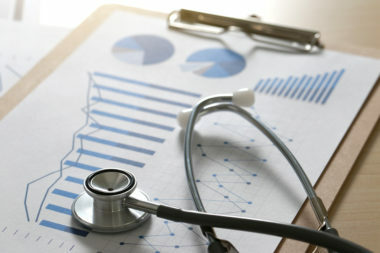 MediaPost.com prescribed the following four tips to help healthcare marketers make all of their efforts all about the patient. It’s vital for healthcare marketers to understand the patient’s health struggles in order to reach and communicate with them in the appropriate ways. This can be achieved by always putting themselves in the patient’s shoes and focusing on how they feel. Experts recommend developing marketing ideas that based on how the patient is feeling because it makes it easier to connect with them on a deeper, emotional level. Thanks to virtual reality (VR), healthcare marketing experts can both figuratively and literally experience what it’s like to be suffering like the patient. This can provide an abundance of valuable insight that improves content creation, patient communication, and marketing campaign performance. Authenticity is more important than ever to patients, so it’s essential that every message and piece of content is completely genuine. Patients respond best to messages that sound human and real, so it’s wise to always be natural and speak their language. Staying authentic makes it much easier to connect with patients and build loyal relationships. Technology is considered to be impersonal and cold, while humans are seen as intimate and warm. But by making healthcare technology more human, patients will be more open to its use and start to see it as appealing and beneficial in their daily lives. Revealing the humane side of healthcare technology will make it much more meaningful and valuable to patients in the future. Healthcare marketers have traditionally put the brand at the center of any experience they have created, but this hasn’t always been good for the patient. 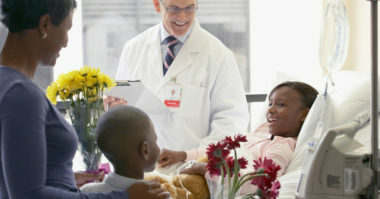 With a patient-centric approach, the patient is always the focal point of every brand experience. As a result, now marketers need to create experiences that speak to the patient and touch an emotional chord. The way to accomplish this is by developing value-added services that distinguish a healthcare product to make it support the patient’s health and personal needs. By conveying these qualities in an empathetic and authentic way while offering an engaging experience, patients will naturally respond and feel more positive about a healthcare marketing message and brand. Discover what’s working well in healthcare marketing. Contact MDG Advertising.